As a company that is committed to ensure most satisfied customers, deliver highest quality service and continually improving its quality management system; HomeChoice Planners and Construction Corporation continues to be in sync with its quality policy thru having safe work environment and competent workers. To ensure a safe work environment and competent workers, HPCC provides trainings, awareness and seminars to keep its employees equipped and informed. 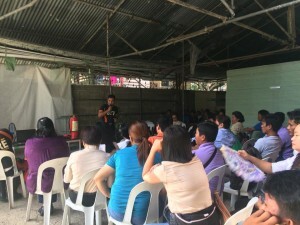 HomeChoice Planners and Construction Corporation have recently been collaborating with other institutions and agencies in conducting trainings, seminars and the likes. Last 13th of August, fire drill training was conducted by Bureau of Fire Protection Bulua station. The said training serves as an awareness and prevention of fire; wherein the firefighters discussed the use of fire extinguisher and the dos and don’ts during a fire outbreak. The company also coordinated with Department of Health and recently held its Basic Life Support training to chosen employees of HPCC. Last September 15, project foremen, project assistants, engineers and admin staffs were taught how to respond in a life emergency situation. And just yesterday, September 17, Healthcheck one of the diagnostic clinics here in Cagayan de Oro city was invited to conduct a random drug test to all employees of HPCC. These activities each with different goals have equipped the workers in various aspects; teachings not only limited to construction matters. In this way it has made the workers competent not only in the skills that they know but to other things as well. 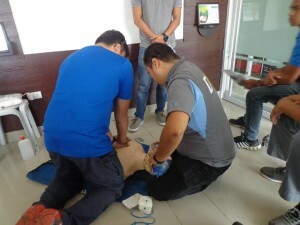 Fire drill, random drug test and basic life support training, these are just some of the activities that HomeChoice Planners and Construction Corporation have been busy with lately, but it does not end here. More collaborative activities are in works for the company’s continual improvement, and that includes the worker’s competency, the system and the work environment. When we’re all stressed out and burnt out from work, what good remedy any of us could have but to take a time off from work. Working in a construction company is not easy especially the ones who are doing the hard labor under the scorching heat of the sun for eight hours; well actually in any company or whatever your job is, we all get tired and stressed out. And it is just right that every employee should take a breather from their exhausting work days. 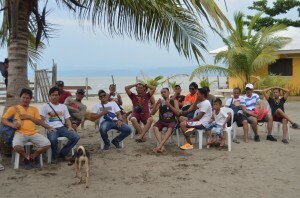 Last August 25, HomeChoice Planners and Construction Corporation, SEAzed the day by bringing their staffs and workers out to the beach; and together they had fun games, sumptuous meal and enjoyed their fellowship. Aside from the games and bonding moments, they get to hear first the word of God. In everything we do, we should put God first thus hearing and sharing about Jesus is something that shouldn’t be taken for granted. And praise God for after hearing the word, five workers of the company has responded to the calling and decided to receive Jesus Christ in their lives and submitted to be baptized in water. The heavens are rejoicing for these people’s lives, they have decided to follow Jesus and it’s no turning back. The one day breather from the stressful work might be bitin but it was more than enough time for a refreshing; be refreshed from all the work stressors or life in general. As the activity concluded, everyone felt refreshed physically, emotionally and above all spiritually.